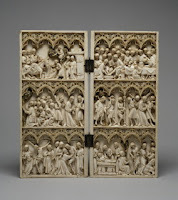 At the most recent update of the Gothic Ivories Project, coordinated by The Courtauld Institute of Art, medieval ivories in Hungarian public collections were also added to the database. You can now look at photos of about a dozen Gothic ivories from the Museum of Applied Arts in Budapest, as well as one single example preserved in the Sculpture Collection of the Museum of Fine Arts. With the 700 ivories added with the most recent update, the database now includes 3800 objects. It is to be hoped that the next update will add some more objects from Hungary: in particular, it would be great to see the three late Gothic bone saddles from the collection of the Hungarian National Museum. Many other saddles from the period of Emperor Sigismund are already online - including the Batthyany saddle stemming from Körmend in western Hungary (and now at the Museum of Fine Arts in Boston). To read about more medieval ivories once in Hungary, have a look at my previous post about the Fejérváry collection! Gábor Fejérváry (1780-1851) amassed a large collection of ancient and medieval objects in his house at Eperjes in northern Hungary (today Presov, Slovakia). After his death, his nephew Ferenc Pulszky inherited the collection. Pulszky at that time was living in England - he had to leave Hungary for his role in the 1848 revolution and war for independence. Pulszky managed to deliver parts of this collection to England, as he decided to sell much of it. In 1855 Liverpool goldsmith, jeweler and Fellow of the Society of Antiquaries Joseph Mayer (1803—86) purchased the Fejérváry ivory collection from Pulszky. The collection contained a large number of late antique, early medieval and later ivories, as you can see in the original catalogue published just after the sale, in 1856 (full text here). You can read more about the Fejérváry-Pulszky collection, and Fejérváry's Liber Antiquitatis, which contains images of objects in his collection, on the website of the Museum of Fine Arts, Budapest. Joseph Mayer gave his collection to the Liverpool Museum in 1867. Ancient ivories are in the World Museum today, while Gothic ivories from the Fejérváry-Mayer collection are in the Walker Art Gallery. The catalogue of the Liverpool ivories by Margaret Gibson was published in 1994 (see this link). The National Museums Liverpool Blog provides a bit more information on these ivories. 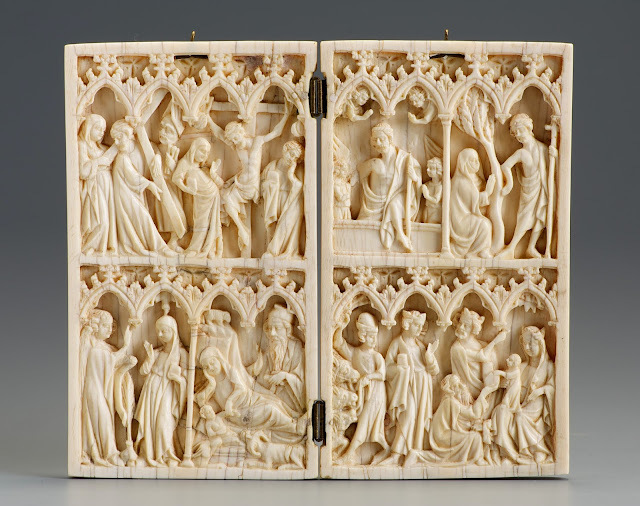 When it comes to Gothic pieces, you can learn a lot more via the Gothic Ivories Project of the Courtauld Institute of Art. Search for the name of Fejérváry to get a list of the ivories from his collection (this link should work). One of the finest pieces, a 14th-century French mirror case, is illustrated below. The Fejérváry collection held many other treasures, including such rare pieces as the Armento Rider (British Museum) or Codex Fejérváry-Mayer (also in Liverpool), one of the finest surviving Aztec manuscripts. You can read about that manuscript on the BibliOdyssey blog. Upon returning to Hungary after his exile, Ferenc Pulszky became the director of the Hungarian National Museum. Items he could not sell from the Fejérváry collection, as well as a large number of other objects he collected later in his life, are in various museums of Hungary today. János György Szilágyi writes more on him in The Hungarian Quarterly. 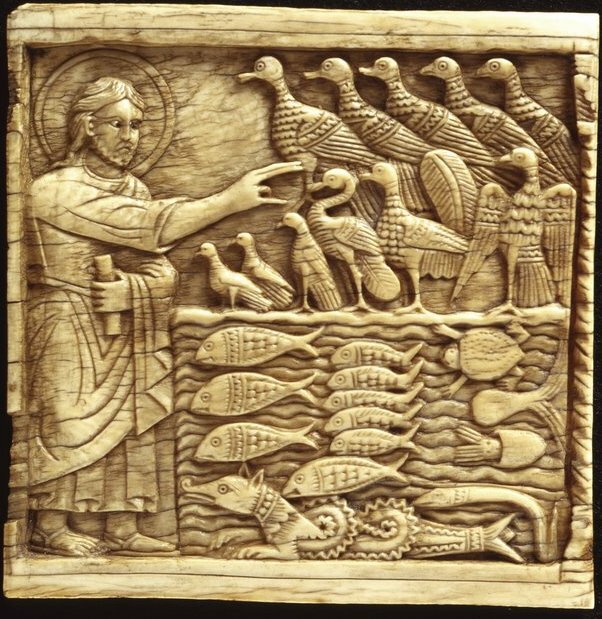 I posted an image from the collection of the Museum of Applied Arts (Budapest) on Flickr today - a nice and small ivory panel showing the Creation of birds and fish. I detected from responses that there is some interest in the piece - hence this brief post on the Salerno ivories. 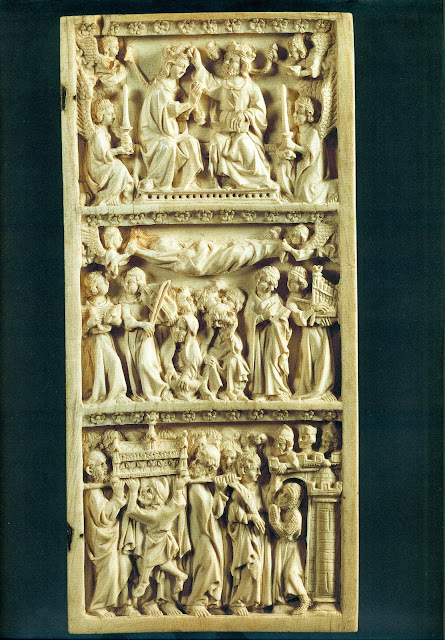 Together with its companion piece at the Metropolitan Museum, the plaque comes from the cathedral of Salerno and dates from about 1080-1084. About fifty such plaques survive, all of which once decorated a large piece of church furnishing, such as an altar or reliquary. The panels depict biblical scenes from the Old and New Testament. The plaque from Budapest traveled back to Salerno for an exhibition in 2007-2008. Titled "The Enigma of the Medieval Ivories from Salerno", the exhibition aimed to gather as many of these original pieces as possible (most of course are preserved to this day at the Museo Diocesano at Salerno). You can learn a lot more about the ivories by visiting the website of the exhibition. 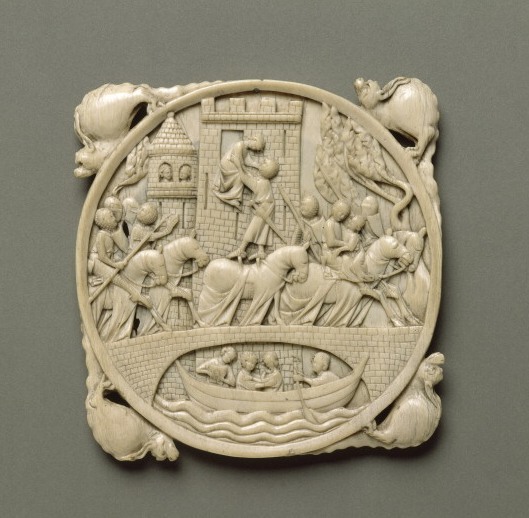 Photos of the individual ivory plaques are also available on the website of photographer Roberto Bigano. A two-day workshop at the Kunsthistorisches Institut in Florence, held in 2009, launched an ongoing research project dedicated to these ivories. So, expect to hear more about them in the near future! (If, on the other hand, you would like to know more about the Museum of Applied Arts, you can follow the new Twitter account of the museum). New medieval art websites, II. My post written last month called attention the a number of interesting new websites. In recent weeks I've noticed some more interesting new websites dedicated to medieval art. First I need to mention a new database, launched on December 15. The Gothic Ivories Project is an online database of ivory sculptures made in Western Europe ca. 1200-ca. 1530. The project is run by the Courtauld Institute of Art. In addition to the database - which currently gives access to about 700 ivories - the website also contains a news section, a bibliography and useful links. 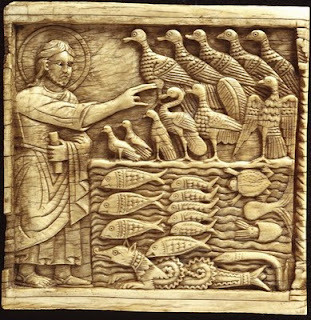 The goal of the project is very ambitious: "a database which aims at including all readily available information on every surviving Gothic ivory, accompanied by at least one image." The website will gradually be added to through regular uploads. Full digital editions of medieval illuminated manuscripts seem to multiply these days. One of these in particular caught my attention last week (via www.medievalists.net): The National Library of Wales made available a 15th century illuminated manuscript with the Battles of Alexander (Peniarth Ms 481D). As the website tells us, this late 15th-century manuscript is in two parts, and both parts were likely bound together as one volume from the outset, probably in England. The first part of the manuscript was written by an English scribe and illustrated by a Flemish artist, while the second part of the manuscript was written and illuminated in Cologne. The Digital Mirror section of the library's website contains digital images of other medieval manuscripts, such as the Sherbrooke Missal. The next resource is not exactly a website, but a subset of a larger resource. The Fototeca of the Biblioteca Berenson at Villa I Tatti (Florence) started an ambitious digitization project, the first results of which are already available. 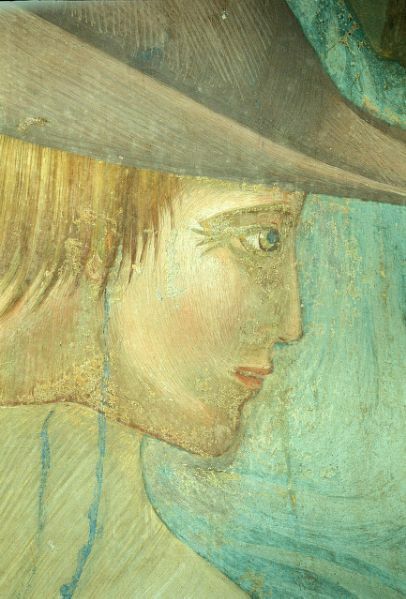 These include photos of the Life of Saint Francis cycle from the Upper Church of San Francesco in Assisi, taken during restoration carried out by Bruno Zanardi in 1974-1983. I had some problems getting to the actual images within the Harvard University Visual Information Access system. You get the full set of images most easily by searching there for "Zanardi". Each image has a subset of detail photos, with high quality scans. Finally, I would like to mention a Hungarian website and accompanying database. The website of the National Széchényi Library is dedicated to early Hungarian printed books, and consists of two parts. 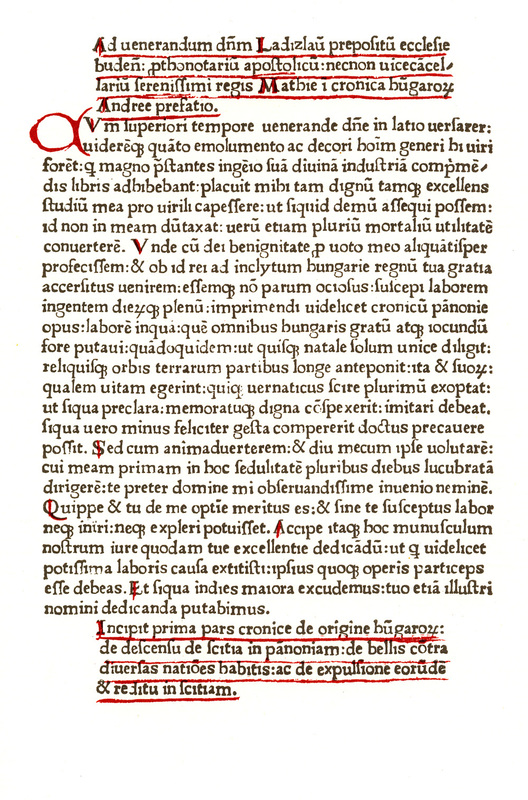 First, the section titled The Hand-Press Period, contains detailed information about 15-16th century printing houses and printed books from the territory of the Kingdom of Hungary, with lots of images. The other section - called Clavis Typographorum Regionis Carpathicae - is a database for printing and publishing that includes all data of printing houses and publishers working in the actual territory of the Hungarian state from the beginnings of local printing in 1473 to 1948. 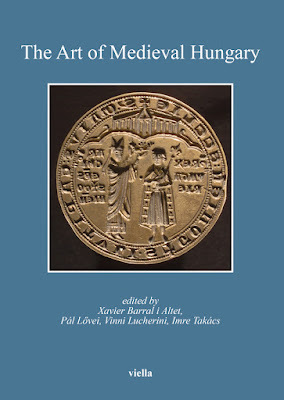 The entire website is available in Hungarian and English as well - making it a very useful resource for the early history of the printed book.